Track projects in one place. to manage project expectations from start to finish. 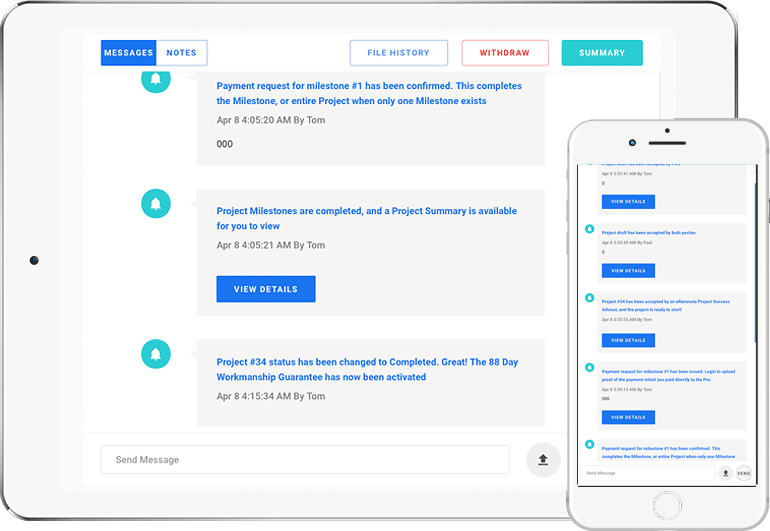 The Project Scope is the mission control for you and clients to manage project expectations. It provides a complete overview, from the big picture to the smaller details along the way. The Project Scope is an easy-to-use platform to define, plan and track projects. It’s free to use, for Verified Pros! Organize important project details, upload key documents with comments too, starting with your signed contract. Project Scope includes a Message Centre, a Private Notes Area, File History tracker and more. It remembers all the details, so you don’t have to! 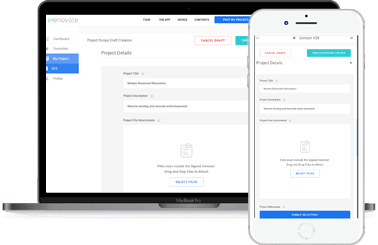 Project Scope helps you and the client stay organized, and on the ‘same page’ from start to finish. in a simple, guided process. The Project Scope gives you the freedom to customize the project expectations just the way you like. 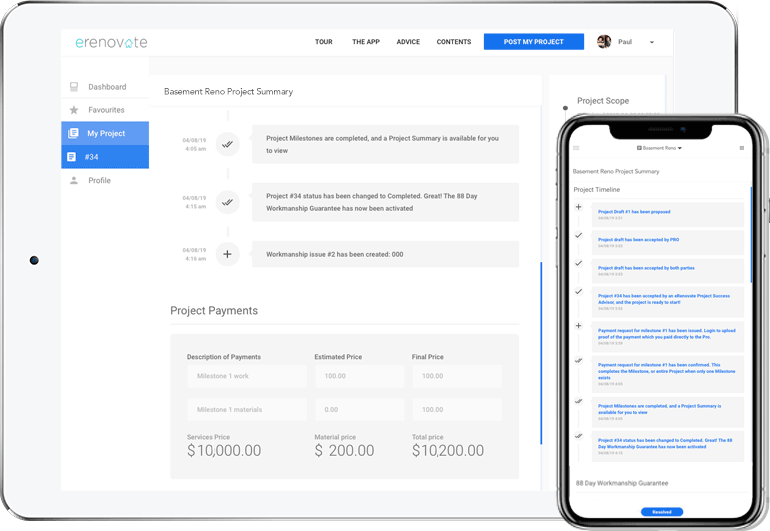 Simply create project Milestones to detail the deliverables, timeframes, and payments for each phase of the project. Easily edit Milestones to add and manage project change orders. Client’s accept the changes, so you get paid for them. Use Project Scope in the way that works best for you. It has the flexibility to fit the way you wish to run your projects. 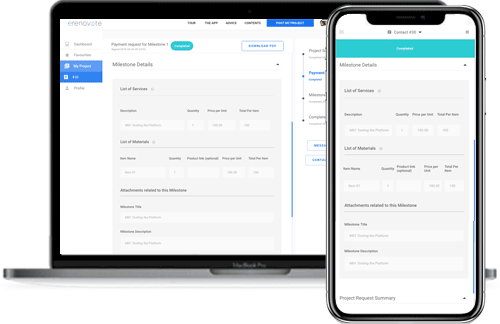 Project Scope is an easy-to-use solution providing clarity, and that means you gain the client’s trust. Project Scope will help set expectations so you can deliver impactful projects on time, every time. Want to see more?